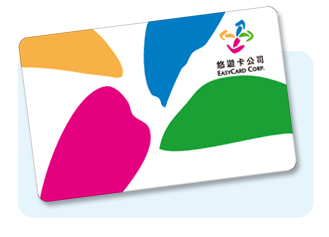 Easy Card (悠遊卡) is Taiwan’s version of the EZlink Card, which can be used for transportation (e.g. buses and trains), as well as make small purchases. Using it is simple enough, you just have to swipe (tap) it like the EZlink. Fares paid with the Easy Card would be cheaper than buying tickets for single rides. For adults, the Easy Card costs NT$500 (NT$100 is the deposit and the remaining NT$400 to use). You can top up the value when you run low and can get refunded for your full balance and deposit with a charge of NT20 termination fee (for cards used less than 3 months), as long as your card is still in good condition. Cards that are damaged in any way (i.e. bent or scratched) cannot be returned and the deposit forfeited. But if you are going to be travel to Taiwan again, might as well keep the card. If you will be using transportation extensively or simply want to convenience of not have to top up, there are the Day Passes which can only be used for buses and trained within Taipei It is only worth getting the Day Passss if you are in Taiwan for less then a week and using the public buses and trains within Taipei extensively. Its limitations are that it can only be used within Taipei and only on buses and the MRT. In addition, you can’t use it to purchase items or pay for things. The good point is that it is one flat fee for the traveling you will be doing, not having to top up when you run low on value. So it really depends on your itinerary and how much you plan to travel around Taipei. (1) Information Counter in all Taipei Metro stations. Thanks, I will be visiting Taipei soon and was wondering which pass is better. I think the EZ Pass is better for someone like me who will be there for 2 weeks.